Lake Geneva is Switzerland's largest body of water, though most of its southern shore lies within France. A crescent of blue hemmed in by the snowy peaks of the French and Swiss Alps, the lake is a year-round hotspot for outdoor activities, with a northern shore covered in picturesque villages, terraced vineyards, and medieval castles. The western extremity of the lake is dominated by the city of Geneva, while the towns of Lausanne and Montreux lie on the northern and eastern shores, respectively. Day trips from these Swiss hot spots make it easy to explore lakeside landmarks such as the medieval bastion of Chillon Castle (Château de Chillon). Visitors can soak up the scenery on a Lake Geneva cruise, ride the GoldenPass Panoramic train into the Swiss Alps, take a Geneva sightseeing tour, or hop over the French border to explore Annecy, Chamonix, or Mont Blanc. Lake Geneva is located in French-speaking Switzerland. Many boat tours and trains are wheelchair accessible, but it's best to check with operators in advance. Lake Geneva is located at the southwestern tip of Switzerland, with its southern shore lying in French territory. Paddle steamers and speedboats traverse the length and breadth of Lake Geneva, stopping at lakeside towns, while commuter trains travel the length of the Swiss shore and connect Geneva and Lausanne with other cities around Switzerland. Guided tours leave from Geneva to explore lakeside towns and attractions. The main international airport is in Geneva. Lake Geneva is one of Switzerland's top vacation destinations—especially during summer and Christmas. While summer visitors come to vacation in the Swiss Riviera, hike in the Alps, and enjoy boat cruises and water sports on the lake, winter travelers can hit the ski slopes or visit the famous Montreux Christmas Market. Geneva and Lausanne make strategic bases for exploring the lake, but the real highlight of Lake Geneva is the atmospheric lakeside villages. 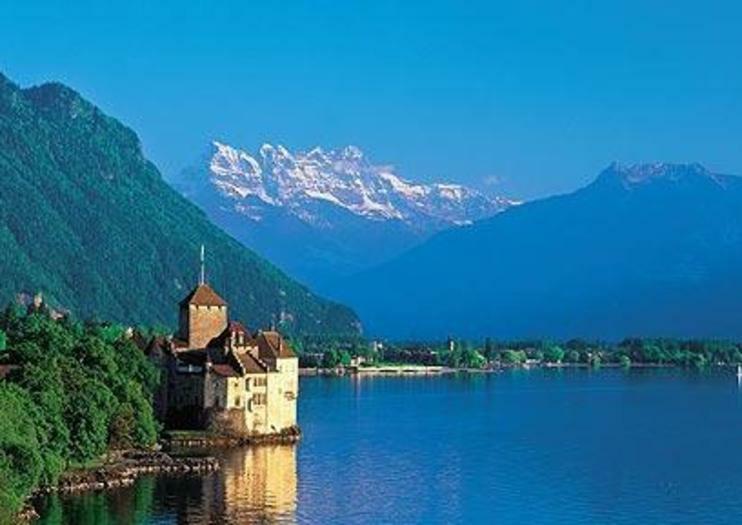 Visit Chillon Castle in Montreux, enjoy wine tasting in the Lavaux vineyards, attend the weekly market in Vevey, or journey up to the mountaintop town of Gruyeres, famous for its cheese.